A Growing Housing Market Means the Dream of New Home Ownership is Alive and Well! 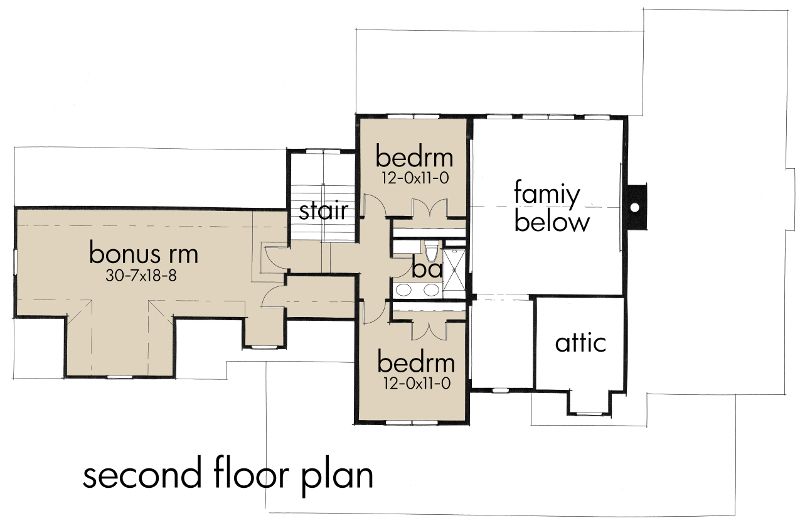 More bedrooms, more bathrooms, and more living space in general. That’s what most home buyers in 2015 chose in their house plans as they bought new homes for their families. The latest U.S. Census Bureau’s annual study of the residential building industry – 2015 Characteristics of New Housing – reveals that the average size of a new home plan built in 2015 was 2,687 square feet. That is a record-breaking number, larger than that at the end of the building boom in 2007 – indeed the largest since the study was started in 1973. Released just this month, the study of data from the Survey of Construction (partially funded by the Department of Housing and Urban Development) reveals that construction was at a 7-year high – at 648,000 units – and the average price of a new single family house sold in 2015 was $360,600, up from $345,800 last year. 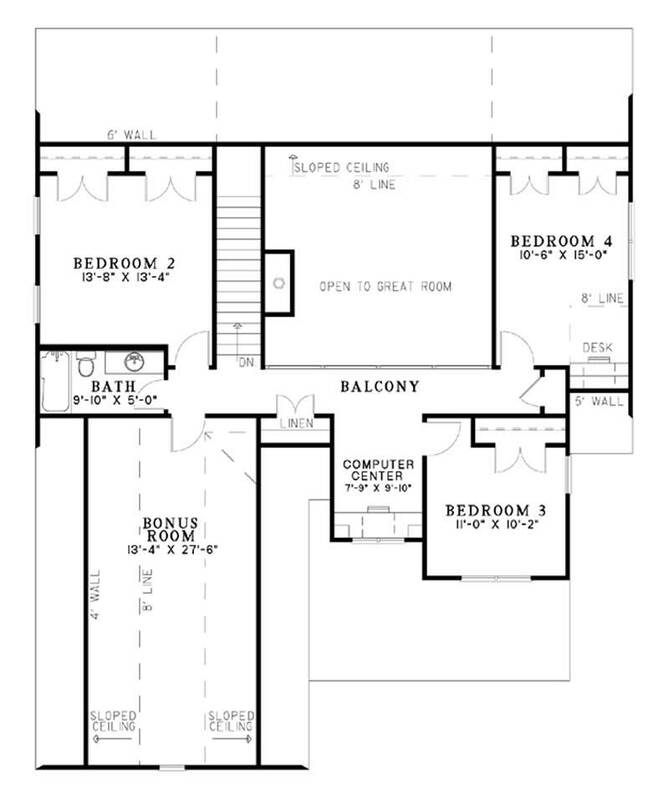 The typical new home, represented by this 2-story, 4-bedroom, 2-1/2-bath Taditional style home plan, sold for an average price of $360,600; the median price was $296,400 (House Plan #125-1132). Stories: Houses with 2 or more stories came to 57% (373,000) of the total home plans completed. Bedrooms: Homes with 3 or more bedrooms represented a whopping 89% (582,000) of the house plans built in 2015. Those with 3 bedrooms came to 42% (275,000); those with 4 bedrooms or more accounted for 47% (307,000). 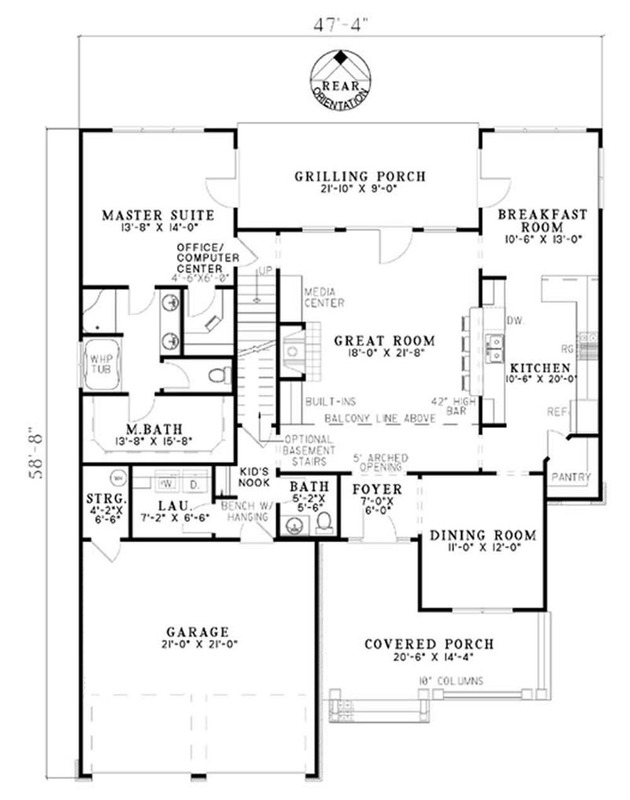 This 2-story Southern Country style home plan, at 2,414 sq. ft., is a good example of the median size of houses built in 2015: 2,467 sq. 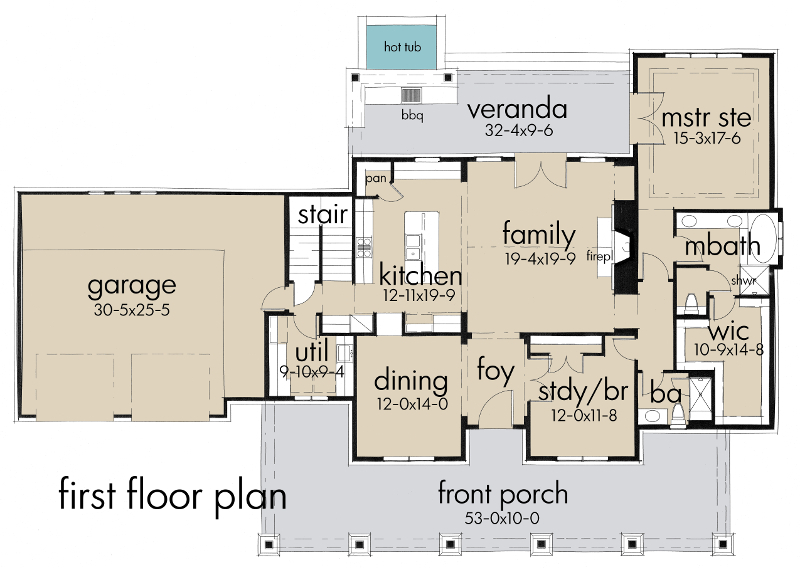 ft. (House Plan #117-1100). As the home's floor plans reveal, the house also represents the vast majority of 2015 new homes, which had 3 or more bedrooms. Baths: While new homes were evenly distributed between 2 and 2½ baths, at 29% (190,000) each, those with 3 baths or more represented 38% (246,000) of the total. Square Feet: More than half (52% / 342,000) of completed new homes were 2,400 square feet or more; the median square footage was 2,467 sq. ft. Garages: New homes with a minimum of 2 garage bays amounted to 61% (396,000), while those with 3 or more bays came to 24% (154,000). 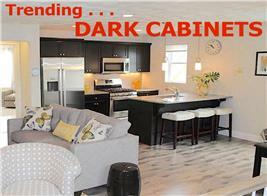 Note that 3-car garages have been steadily increasing in popularity since 2010. 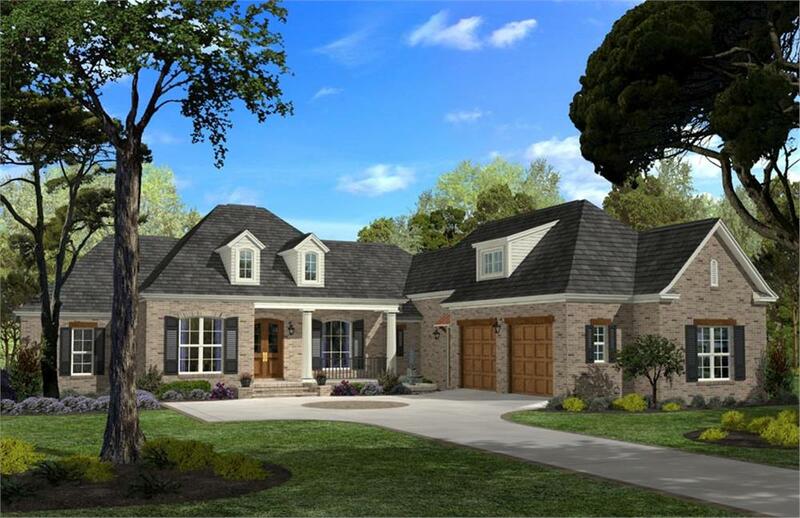 Two-car garages, like this one in a 4-bedroom, 2-1/2-bath French Country style house plan, appeared in a healthy majority of new homes. 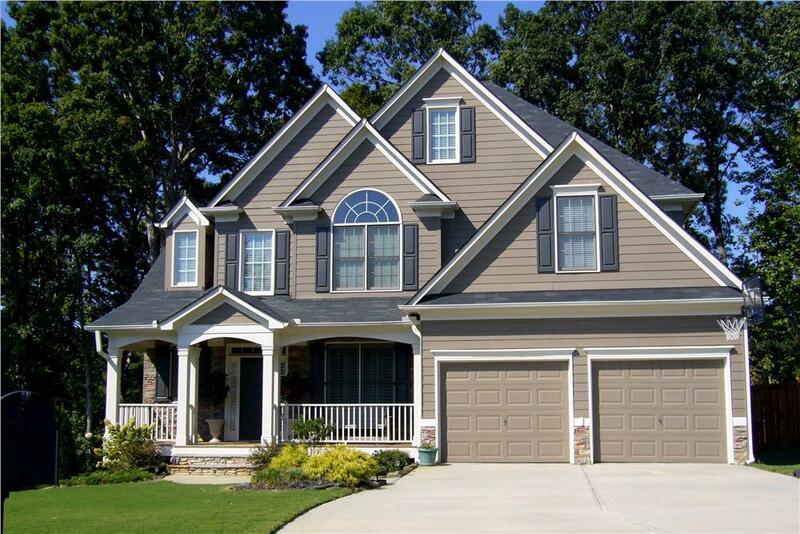 Placing the garage at 90 degrees to the house adds interest to the home's look and is a good idea if you have the room in your building lot (Home Plan #142-1045). 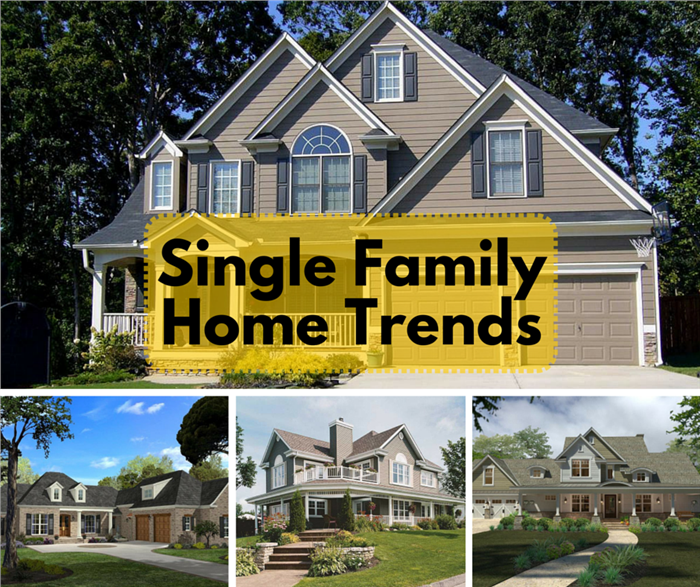 Siding: Vinyl is the most popular siding material at 27% (174,000), though it has been declining in popularity pretty much since the 1990s. Fiber cement, on the other hand at 19% (122,000), has been steadily increasing since its first appearance in the survey in 2005. Stucco was used in 24% (157,000) of new homes, while brick accounted for 23% (148,000). Wood made up only 5% (34,000); in the early 1980s it accounted for almost 45% of new homes. 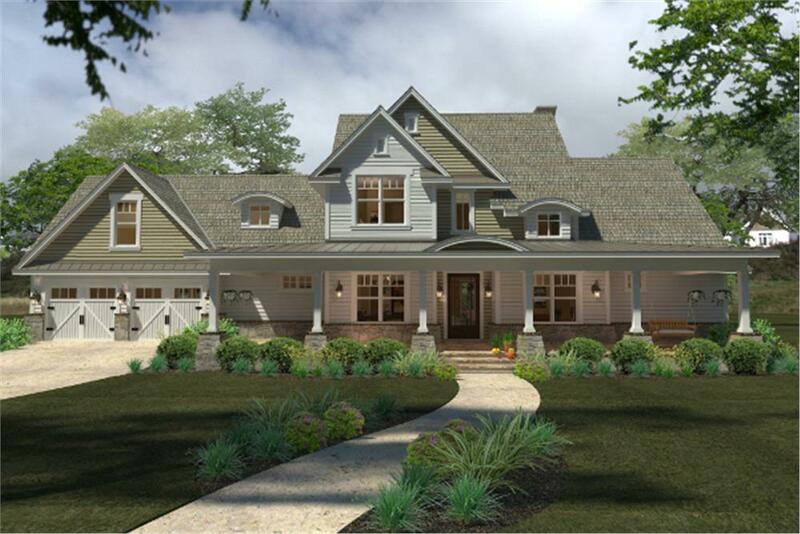 While vinyl was narrowly the siding of choice in new houses, fiber cement siding as seen on this 2-story, 4 bedroom Country style home plan, is increasingly popular (House Plan #163-1001). 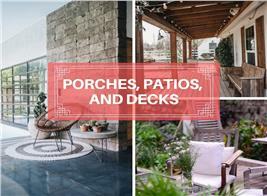 Outdoor Features: Outdoor living is highly popular as an aspect of home ownership, so it should be no surprise that 63% (411,000) of new house plans included porches, 55% (360,000) had patios, and 23% (149,000) had decks. Heating System Fuel: Natural gas dominated the heating fuel of choice, coming in at 60% (386,000) of all new houses, while electricity was chosen to power 39% (254,000) of new homes. Homeowners’ association: Increasingly popular over the last few years, homeowners’ associations count 60% (390,000) of new homes as part of their memberships. 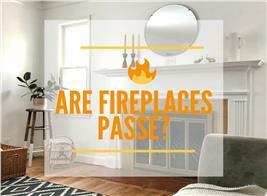 Fireplace: While 49% (318,000) of new homes built in 2015 had at least one fireplace, that number is down from its peak in the late 1980s and 1990s of over 60% to almost 70%. 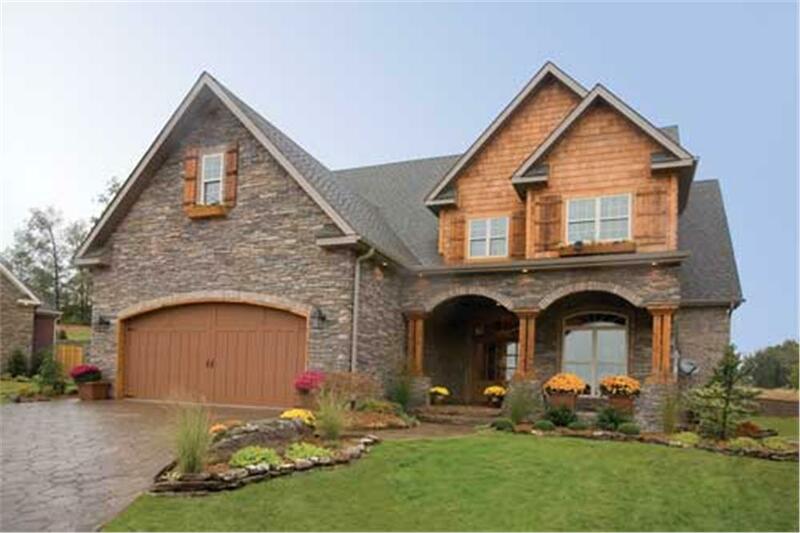 This 2-story, 4-bedroom Craftsman style home plan with 2-car garage, at 2,470sq. ft., checks almost of the boxes for desired characteristics of a new home, including a fireplace, as seen in the floor plans. While not as robust as during the pre-2007 building boom, today’s housing market shows healthy signs of growth and smart house sizing (more bedrooms and baths at the expense of the extraneous rooms and flashy features of McMansions of yore) – good signs for those of us looking to build our dream home plan!